On Friday 5th April we have a UK Garage Special with 2 Step legend STICKY !!! Supported by: Sticky & lots more TBC. 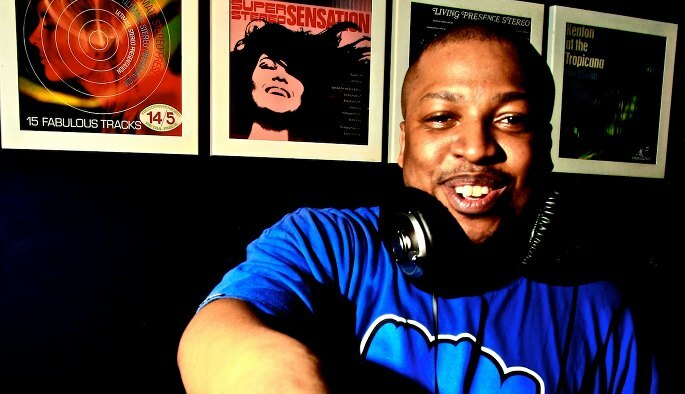 Sticky has had an endless numbers of club and chart hits featuring artists including Kele Le Roc, Tubby T, Stush & Twista, he has also remixed the likes of Britney Spears, Justin Timberlake, The Saturdays, Aaliyah & Sugababes, consistently finding himself scaling the heights of the club charts. The energetic rhythms and catchy synthesized hooks make his style instantly recognisable. 2. Write your name(s) as a comment on this post: www.facebook.com/stealthnottingham/posts/447703085311521. 3. Arrive before 11.30pm (for Free Entry). On the night we also have a selection of Nottingham's best DJs - playing the best in UK Garage, 2 Step, House, UK Funky & Bass. Expect to hear the likes of THE ARTFUL DODGER, DJ LUCK & MC NEAT, SHANKS & BIGFOOT, MS DYNAMITE, THE STREETS, DJ ZINC, SO SOLID CREW, DANIEL BEDINGFIELD, 187 LOCKDOWN, MJ COLE, ARCHITECHS, TODD EDWARDS, JAIMESON, OXIDE & NEUTRINO, WOOKIE, WIDEBOYS, ZED BIAS, LETHAL BIZZLE, SUNSHIP, CRAIG DAVID & lots more.